Shipping cargo from one port to another involves coordinated working of several operations of both land and ship staff. 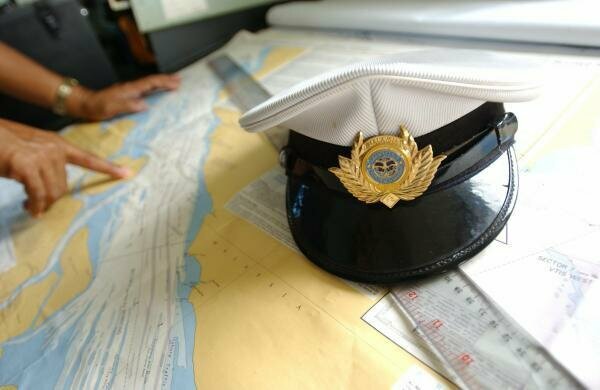 One of the most integral parts of a shipping operation is the cargo or voyage planning, which is mainly undertaken by a navigational officer of a ship. Passage planning includes complete description of the ship’s passage which is pre-prepared by an experienced deck officer of the ship. This is done to ensure that the ship sticks to the required routes for reaching the port of destination. While making a passage plan, the officer must keep in mind that the ship must reach the destination safe by abiding to both local and international rules and regulations. In this article we will discuss the basic and essential stages of ship’s passage planning. Each stage in the passage planning has its own importance and it is extremely important to carry out each one of them with utmost care and up-to-date seamanship to ensure a safe sail. In the start, a rough estimate is made of the whole sailing process. Once the rough plan is ready, it is further tweaked and modified/refined considering various details obtained from charts, pilot book, weather routing etc. These processes are carried out throughout the appraisal and planning stages. In the next two stages i.e., execution and monitoring, the plan is used as a guideline, and the sailing is executed taking into consideration various factors, both observed and predicted. In this stage, the master of the ship discusses with the chief navigating officer (usually the First Officer), as to how he intends to sail to the destination port. (In some cases it may be required for the master to plan the passage). Taking into consideration master’s guidelines, company’s guidelines, ship’s cargo, marine environment, and all other factors that may affect the ship, the navigating officer draws upon a general track, which the ship shall follow. For the ease of planning, this plan is first laid out on a small scale chart, which is later transferred to larger scale charts, and then minor modifications are made as and when deemed necessary. In this stage the intended courses of the ships are actually laid out on the charts of suitable scale and all additional information is marked. The plan is laid out from pier to pier, including the pilotage waters. It is a good practice to mark dangerous areas such as nearby wrecks, shallow water, reefs, small islands, emergency anchorage positions, and any other information that might aid safe navigation. In addition to the above mentioned things, is it advisable to layout the rate of turn for waypoints and laying out of PI ranges for suitable objects, if any. Reporting areas should also be clearly marked on the charts. In this stage, the navigating officers execute the plan that has been prepared. After departure, the speed is adjusted based on the ETA and the expected weather and oceanographic conditions. The speed should be adjusted such that the ship is not either too early or late at its port of destination. A safe and successful voyage can only be achieved by close and continuous monitoring of the ship’s progress along the pre-planned tracks. Situations may arise wherein the navigating officer might feel it prudent to deviate from the plan. In such case he shall inform the master and take any action that he may deem necessary for the safety of the ship and its crew. This stage is a very important stage wherein all the deck officers contribute their part to execute the plan. This calls for personal judgement, good seamanship and experience.